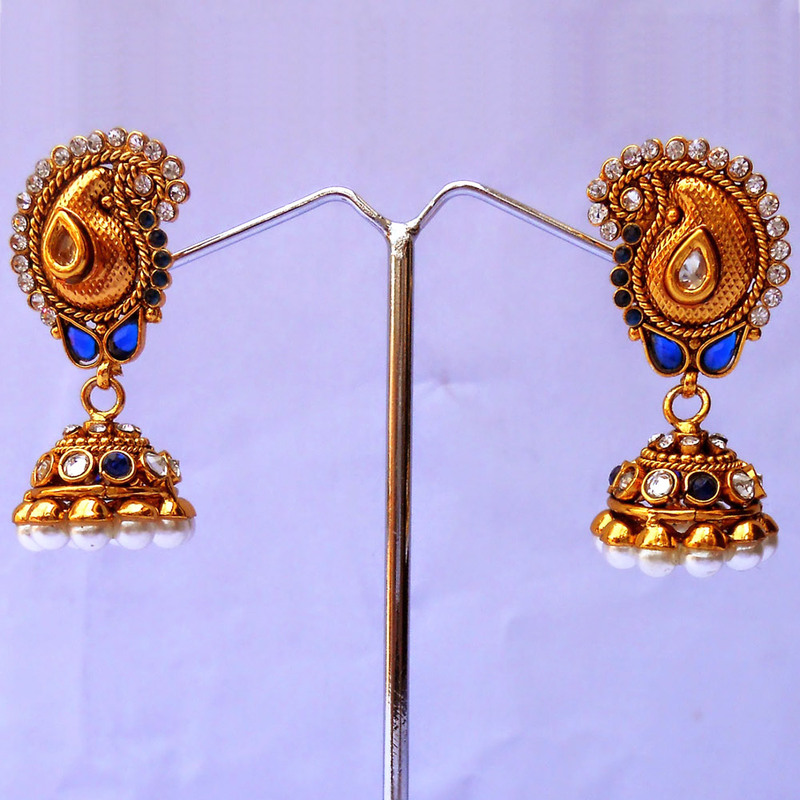 The quality of craftsmanship evident from the design on this stylish pair of blue jhumka earrings makes it worthy of wearing with the most exquisite Read More..and lavish of outfits. The intricate design on the gold plated brass casing forming the stub is enough to take anyone’s breath away. Moreover, the presence of stones in myriad colors starting from the white one in the center of the stub to the black and white ones flanking it makes it look so pretty. Finally, the blue shade along with stones in black and white colors on the jhumka segment makes for one mesmerizing pair of earrings. Show Less..